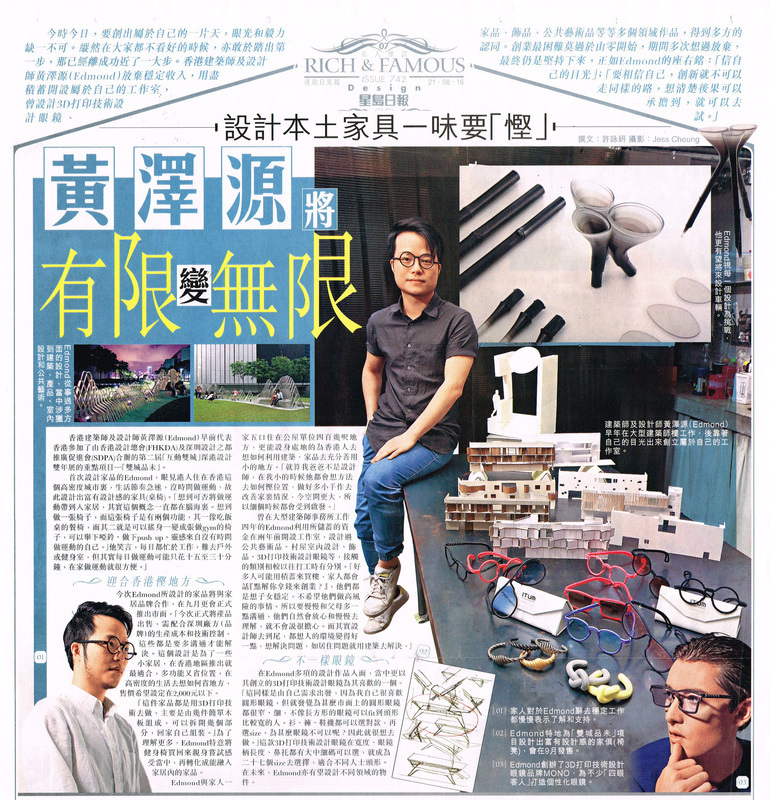 An interview is conducted and featured by Sing Tao Daily. 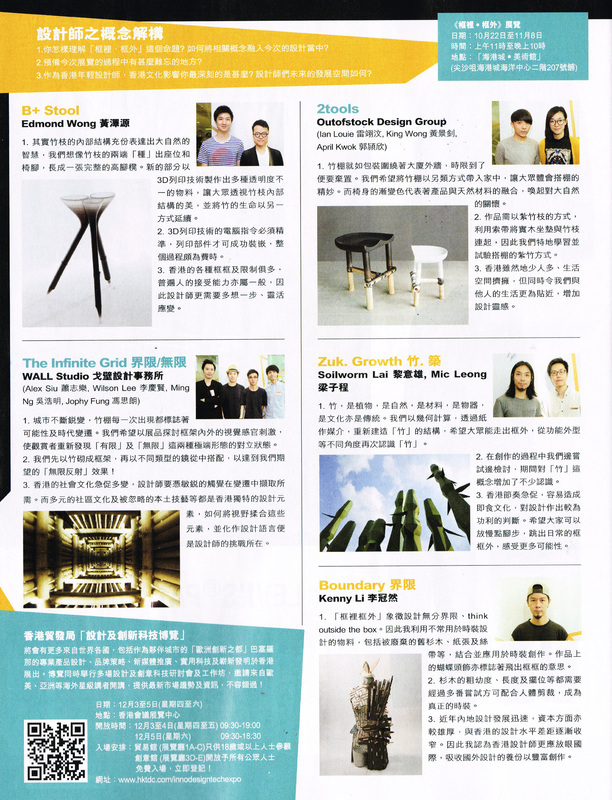 Edmond shares about the thoughts behind the "X Bench" which will be launched in coming Sept in HK/SZ Design Biennale. 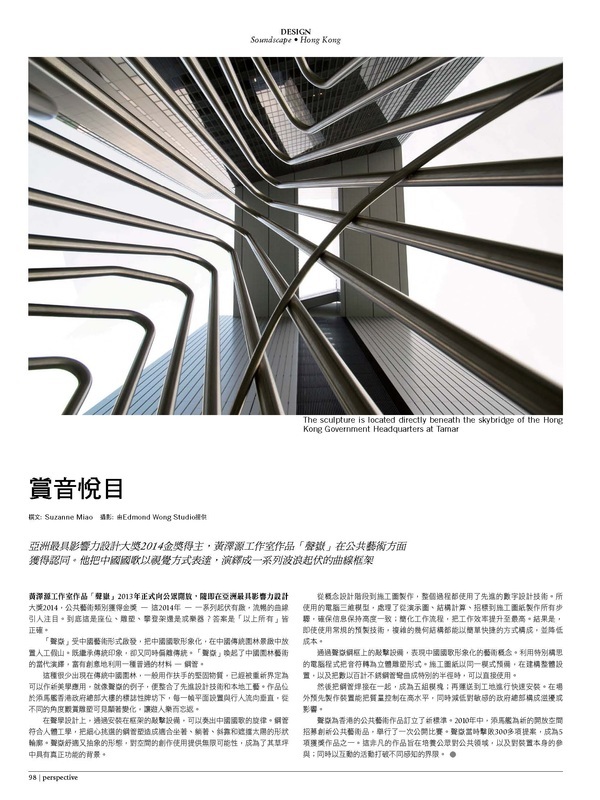 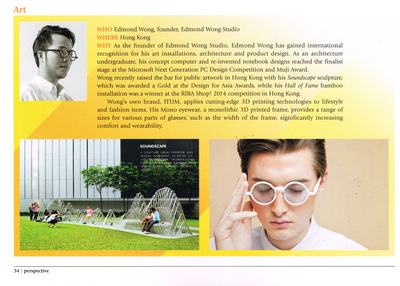 Edmond was invited by Hong Kong Architecture Centre to conduct a sharing titled "Hong Kong Architecture New Wave." The sharing is part of the event "10 Most Liked HK Architecture in the Century" and was conducted at the airport. 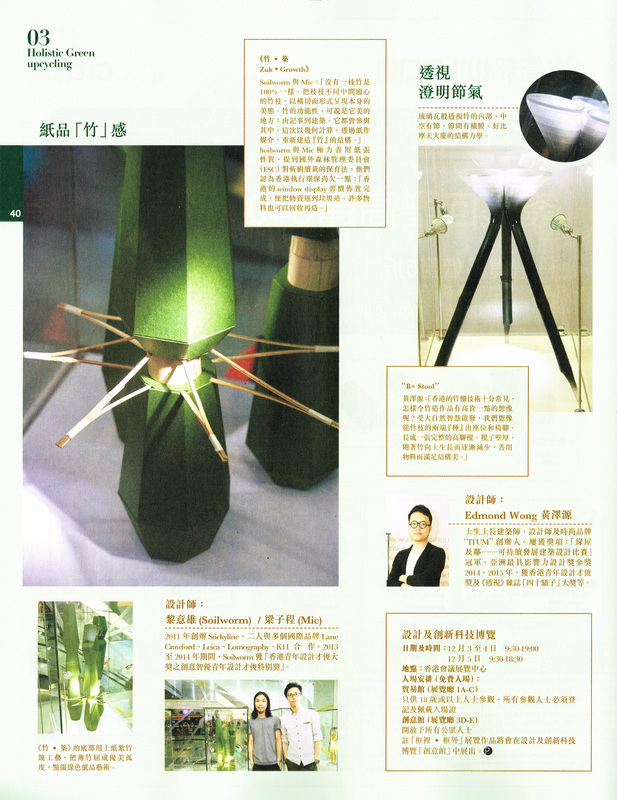 Edmond was invited by Hong Kong Design Centre to conduct two sharings in Taipei and Tainan, Taiwan. 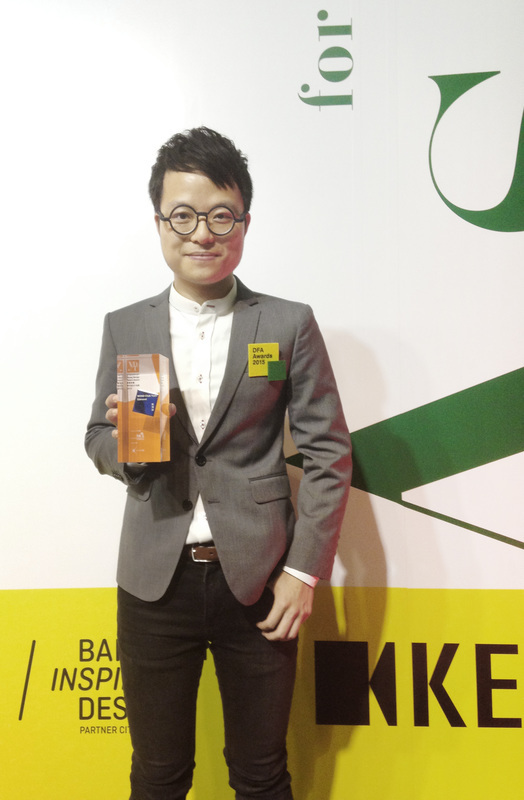 Edmond was awarded Young Design Talent Award 2015. 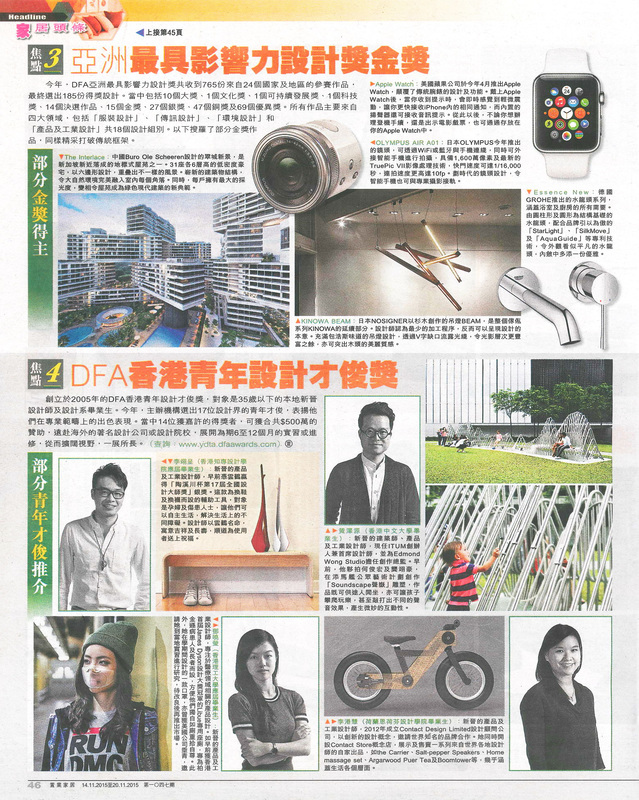 The news is announced on Hong Kong Economic Times. B+ STOOL was featured in 477 issue of METRO POP Magazine. 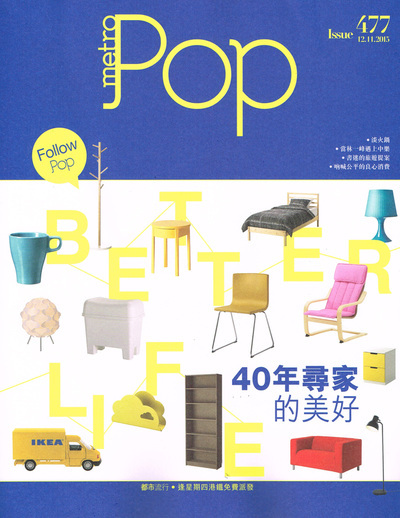 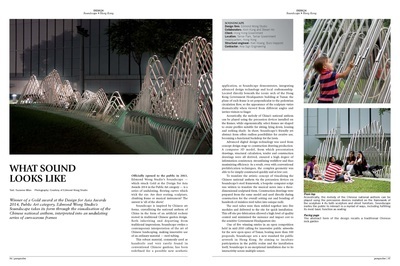 B+ STOOL was featured in 745 issue of MILK Magazine. "B+ Stool" was showcased in "Create Outside the Grid" exhibition organized by Hong Kong Trade Development Council. Edmond was invited by Les Nuits Esthetes to be one of the speakers in Pechakucha Night Shenzhen. News about "40 Under 40" 2015 is released in June issue of Perspective Magazine. 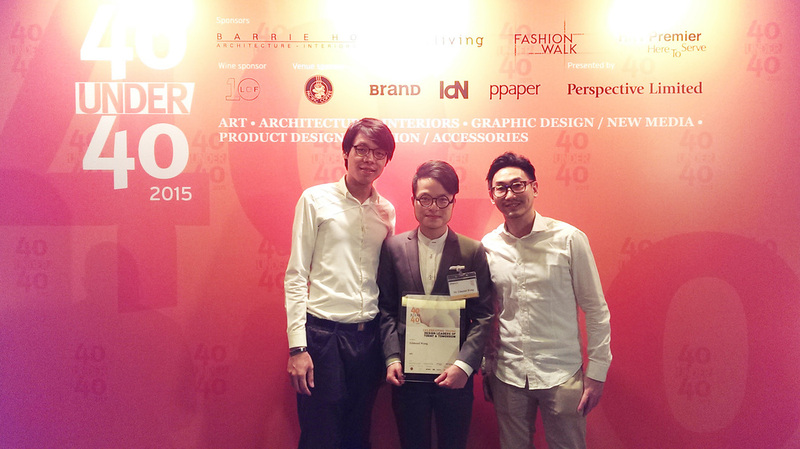 Edmond Wong is awarded"40 Under 40" 2015 by Perspective Magazine. 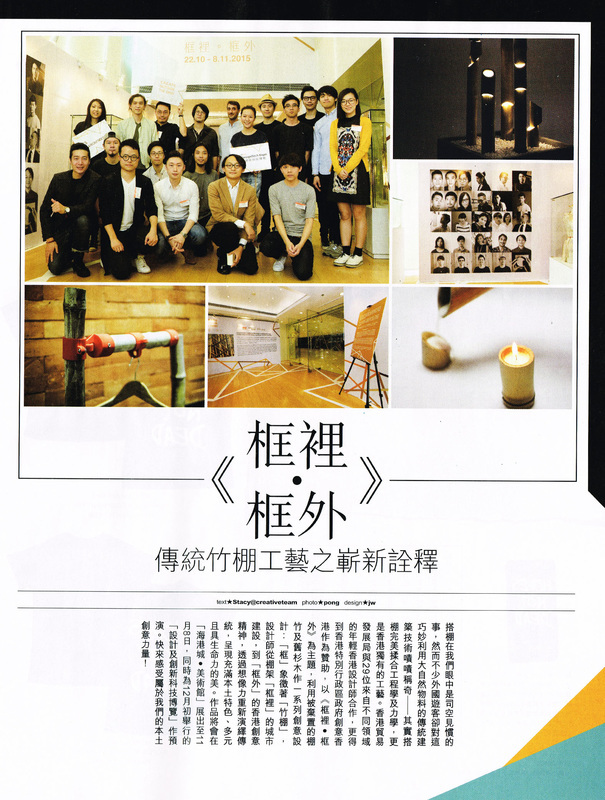 The joy is shared by long-time collaborators Alvin Kung and Steven Ho. 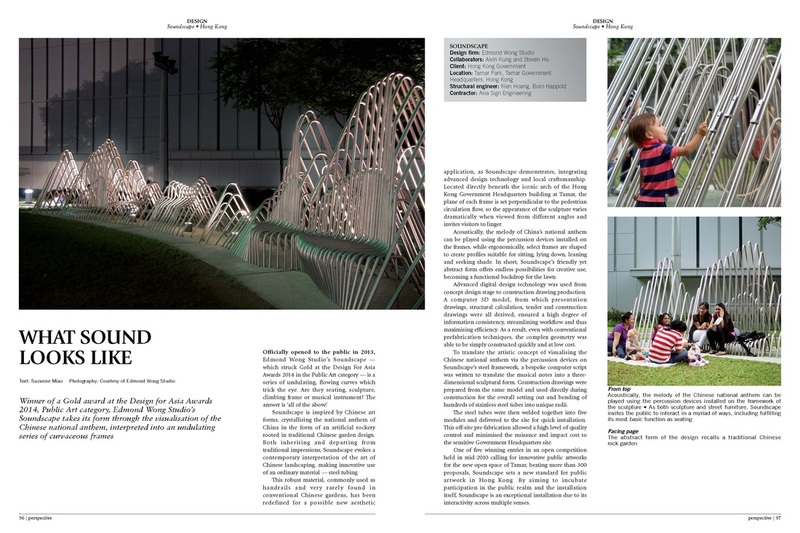 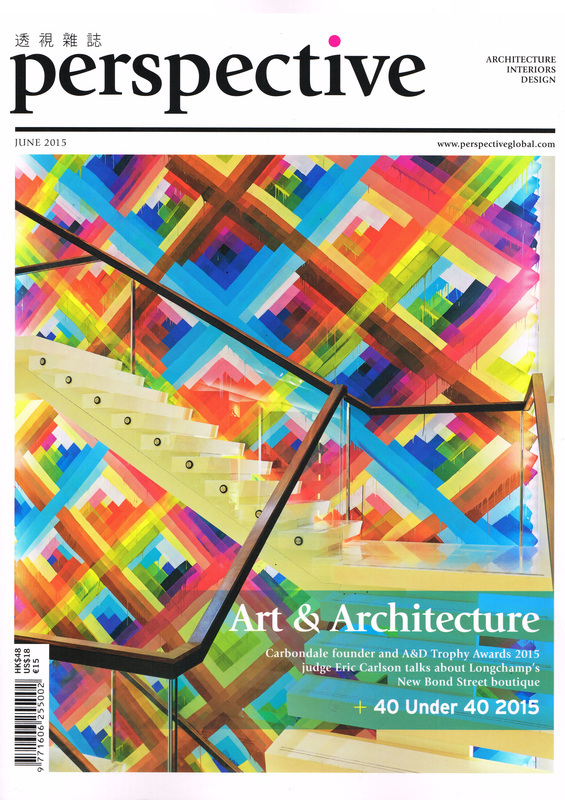 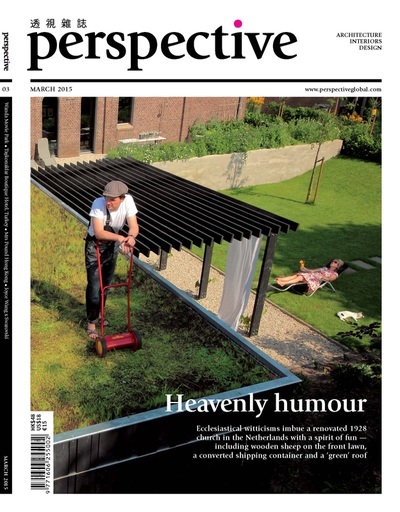 SOUNDSCAPE is featured in March issue of Perspective. 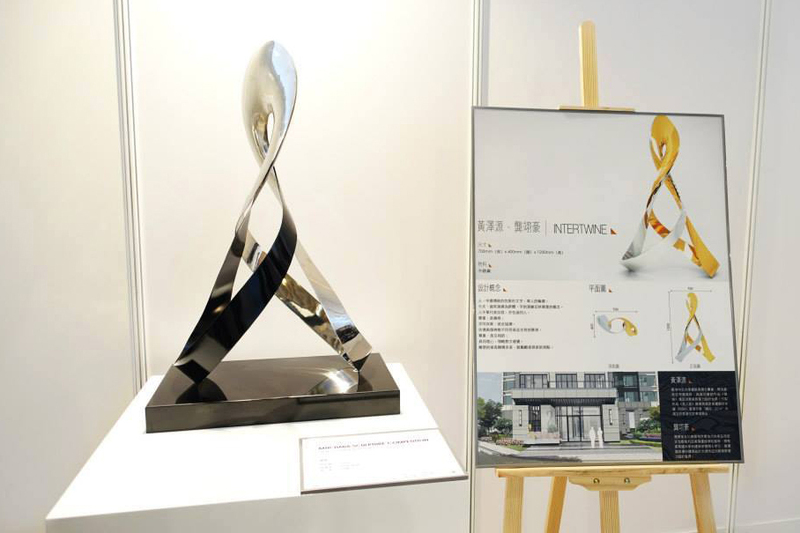 The prototype of INTERTWINE is being exhibited in Tiara Development, Shenzhen. 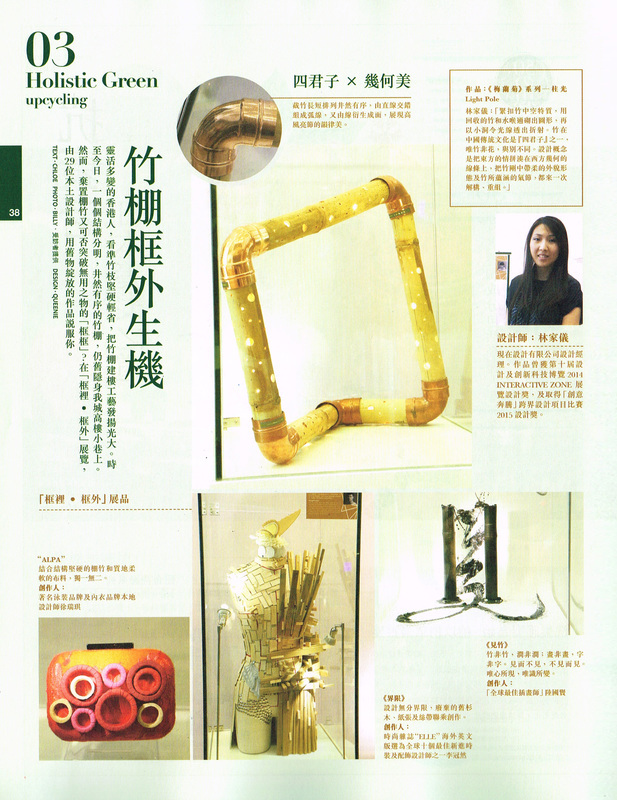 INTERTWINE wins Silver Prize in MTR•TIARA SCULPTURE COMPETITION. An exhibition of the top 9 winning entries will be held in Tiara Development, Shenzhen in Jan 2015. 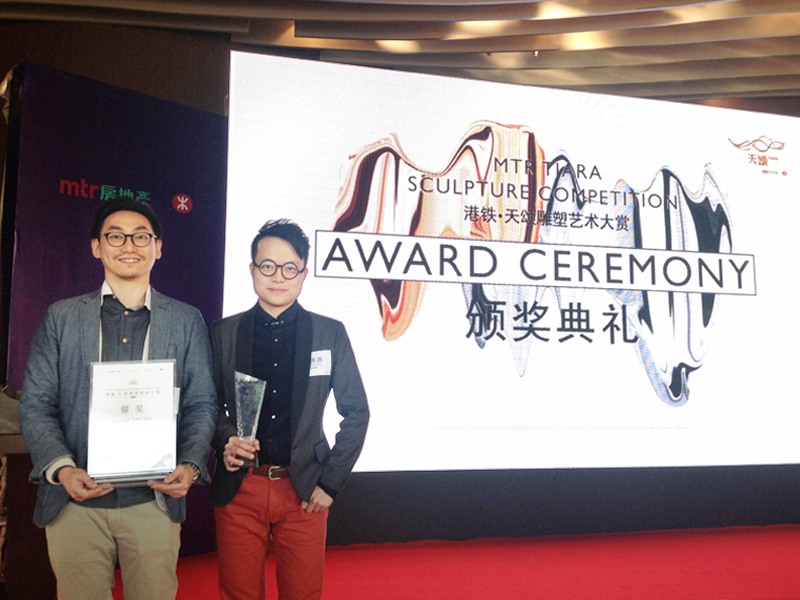 The sculpture will be installation in Tiara, the MTR's first development in China in May, 2015. 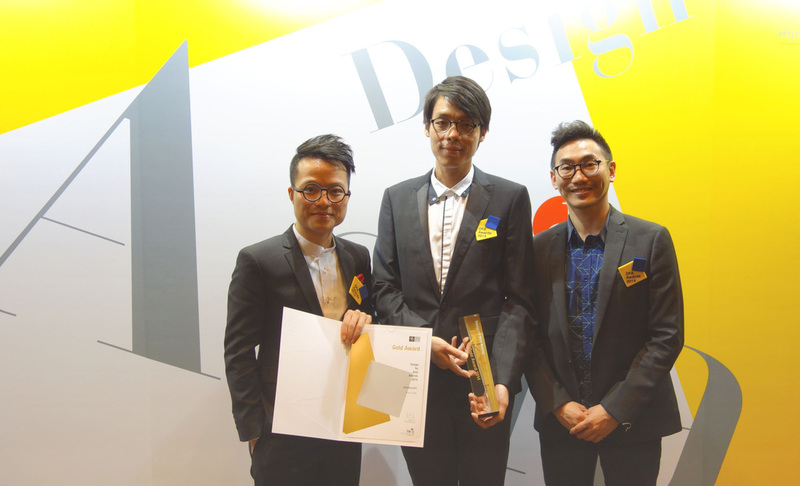 SOUNDSCAPE wins Gold Award in Design For Asia Award 2014. HALL OF FAME is featured in ARCHITIZER, DESIGNBOOM, BUTTERBOOM, THE GLASS MAGAZINE, INDESIGNLIVE HONG KONG.